Imagine a nose that is thousands of times more powerful than a human's when it comes to detecting subtle odors. Put that nose on a golden retriever, give it some extensive hands-on training, and voila-you've got the latest weapon in the winegrape growers' war on vine mealybug. 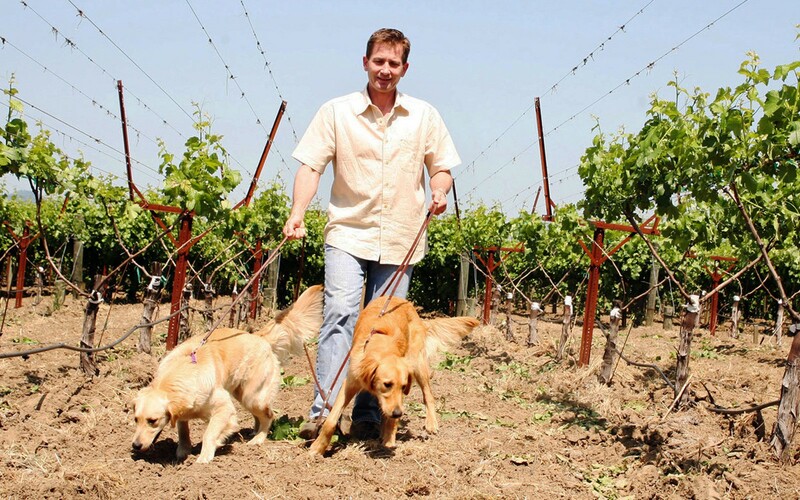 In 2005, Michael Honig worked with Dr. Bonnie Bergin, founder of Assistance Dog Institute (now known as Bergin University) in Santa Rosa, to help train some very special golden retrievers. 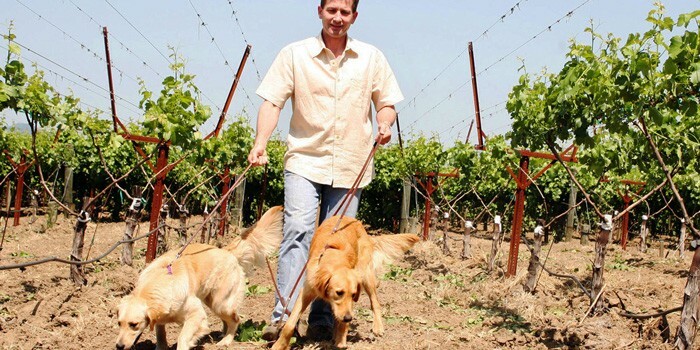 Referred to as "sniffer dogs" by winegrape growers in Napa and Sonoma counties, they could detect the female mealybug pheromone. Early detection of the bug allows the grower to treat or remove a vine or two, alleviating any broad use of pesticides. Vine mealybugs are very difficult to detect, being nearly invisible to the naked eye, and hide under bark and roots. Dozens can fit inside of a one-inch square. They attack vineyards by feeding on the tender vines and leaving a heavy excretion of honeydew that promotes the growth of black, sooty mold. The vine mealybug has been held in check on the North Coast to date, and area growers are being pro-active in their efforts to make sure it doesn't get established. Winegrowers in Napa and Sonoma Counties donated $33,000 to this sustainable program and Michael Honig was so excited about it that sat on the board of the organization for a time.